What are Cascading Style Sheets or CSS? A cascading style sheet is a document which is part of any modern website. As a normal user, you won’t see it directly as you browse the website, but you will definitely see its effects. The style sheet gives design direction to the website elements, telling it what colours, fonts and sizes to use, where to put various elements, and hundreds of other visual elements. By using a style sheet to contain this information it means we don’t have to specify these things on each of the individual pages – which would lead to a lot of repeated code and a nightmare if we ever wanted to change – say – the background colour. By swapping out one style sheet for another, you can completely change the look of a website so as to make it unrecognisable. There are various ‘standard’ tags you can use in style sheets which will work in any website at all, but if you find that too limiting you can also make up your own brand new ‘classes’ and ‘ids’ which you can apply willy-nilly wherever you like. Because you may have elements nested within each other, they may end up with multiple styles applying to the same item – for example, a paragraph of text. This is where the ‘cascading’ bit comes in. CSS sheets have priority and the closer to the element, or alternatively, the lower down the sheet, the high priority it will be. Cascading Style Sheets will make even the most basic website easier to work with and more elegant and at the top end of the scale they can be used to make smart, responsive websites that do all kinds of clever things. If you want to learn more about cascading style sheets and have a more detailed and at the same time straightforward explanation of exactly the role they play and why they’re so awesome go and read the full article on cascading style sheets. If you’ve found this article useful you might want to check out our resource bank, which includes articles about why you shouldn’to utsource your web design to India, whether you should put music on yoursite (No! A thousand times no! 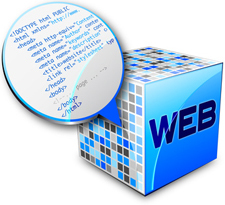 ), all about web hosting – and, you’ve guessed it – much more.